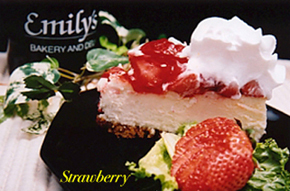 The cheese cakes at Emily's Bakery & Deli, Inc., are made from scratch, using time-tested recipes and methods. Many varieties begin with an unique almond biscotti/graham cracker crust, found only at Emily's. Our cheese cake layers are smooth and creamy, with a great taste and excellent feel in your mouth. The flavor combinations range from the standards to the creative and unique. 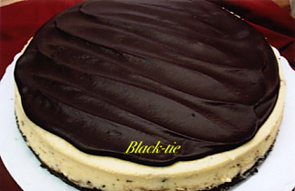 Our cheese cakes are 10" in size and will easily serve 12 to 16 people. 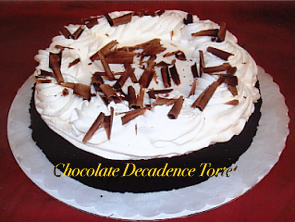 Rich flourless torte topped with real whipping cream and chocolate shavings. It melts in your mouth! 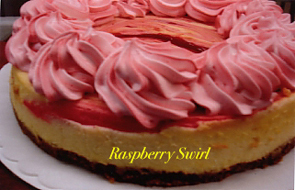 Our skilled bakers take care to create a cheese cake that rivals any you've tasted! Give one a try and we're sure you'll be back for more.